This list of common English idioms starting with the letter "I" gives "in depth" definitions and examples. 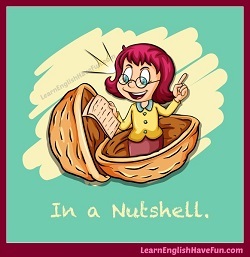 "In a nutshell," you'll learn a lot. Let's get started. By the way, I've also covered the other letters of the alphabet: click here to go to the main idioms page. 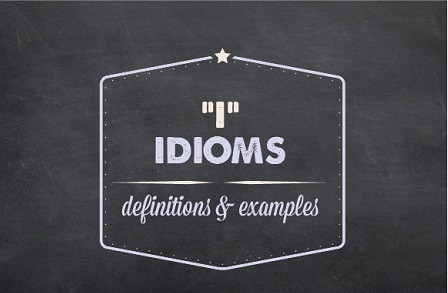 Did you remember that an idiom is a group of words whose meaning is different from the individual words if you looked them up separately in the dictionary? Okay, let's look at the most common English idioms beginning with "I" (Note: the main word of the idiom begins with the letter "I"). 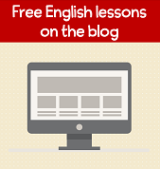 Common English Idioms Beginning with "I"
Have you signed-up for my free newsletter? I include an audio magazine article every month that's filled with helpful new vocabulary and idioms. 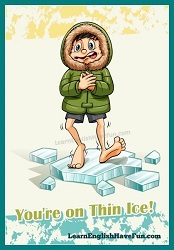 You can also find many idiom definitions with one of the online learner's dictionaries. So now that you've read many of the common English idioms that start with "I," it's a good opportunity to try to write a few sentences by yourself. Why? It's going to help you remember them better. Don't worry, I will revise any mistakes in your practice sentences. Write your practice sentences in the comments section below.